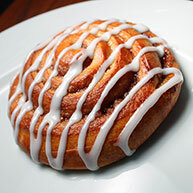 Want to avoid the hassle of mixing up your own dough and formulating your own pastries? 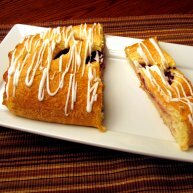 We have a full line of proof and bake pastries that will bring simplicity (and loyal customers) to your bakery operation. 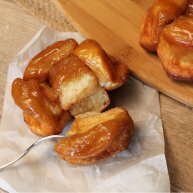 The classic French 'butter cake' with hundreds of layers of flaky croissant dough, caramelized sugar coating and buttery center make this a tantalizing pastry treat. Proof and bake. 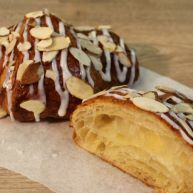 The only thing better than a flaky, buttery croissant is a flaky, buttery croissant infused with light almond frangipane filling. Proof and bake. 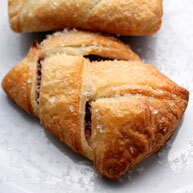 Is there a better way to start your day than to indulge in a buttery, flaky croissant? 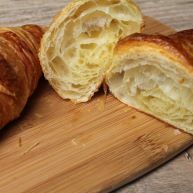 Fill your bakery with the wonderful aroma of fresh-baked, all-butter croissants and watch your customers come back again and again. Proof and bake. 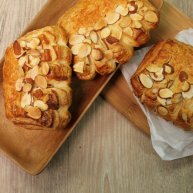 Reminiscent of the shape of a bear paw, the EuroClassic Bear Claws are formulated from our buttery croissant dough and infused with our warm, almond-flavored frangipane filling. 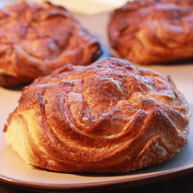 Preparation is not difficult - simply proof the bear claws until fully raised and then bake until golden brown. 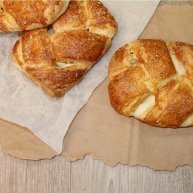 The bear claws will fill your entire kitchen with the wonderful aroma of our classic croissant dough. 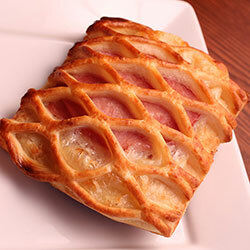 Combining natural, flavor-rich Berkshire cured ham—preferred by top chefs—and Emmentaler Swiss Cheese wrapped in a flaky, buttery croissant dough makes a savory pastry that's great for lunch or brunch. Pastries are pre-proofed and egg-washed for baking preparation convenience. Crisp. Crunchy. Sweet. 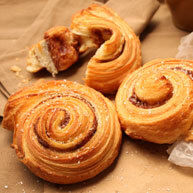 Our EuroClassic Palmiers can't be beat! 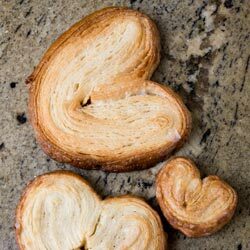 Your customers will be thrilled with the delightful look and taste of this signature "pastry cookie." Available in 0.5 ounce minis and 4.0 ounce classics.